At the beginning of February, Romania had it’s fair share of winter precipitations. Snow as deep as 4.5 meters partially isolated several areas, especially in the south eastern part of the country. If you follow the news on TV you might think this was the end of the world, as we know it, for all romanians. Media exaggeration is business as usual. Directly profiting, through blunt lies it’s not that common. It’s condemnable but this you can only realize if you visit the affected areas and witness the situation directly. It wasn’t the abundance of snow that created the partial chaos. Strong winds and freezing temperatures left villages without electricity in some cases for weeks. Strong winds combined with the snow blocked the roads and completely covered approximately 10-15 houses in each village. The rest of the houses received the snow as a blessing. Not as much because of what it means for agriculture, but for what some of the TV stations have irresponsibly prepared for them. Tones of food in aid was distributed in these areas, where only the lazy villagers might have need it. It is fair to say that only they would benefit from the aid regardless of the season. It is also fair to say that there are larger communities in this country that starve all year-round. ‘Unfortunately’ it didn’t snow in those areas. For four days I visited, one by one, the villages of Corbu, Casota, Vacareasca, Carligul Mare, Carligul Mic, Glodeanu-Silistea, Scutelnici and Arcanu. I spent the night in Corbu and in Arcanu. None in these villages truly needed the humanitarian aid orchestrated by TV stations for their own profit. They needed electricity, access on the roads and few of them help to clear the snow from around the house. While electricity and access was in the hands of the authorities and weather, the help to clear the snow was in the hands of their neighbors. I witness entire villages fighting for the aid, but only 10-15 people in each village helping their neighbors. The rest of them simply watched and even made fun of the gendarmes sent to do their neighborly job. This story is dedicated to those that went and helped their neighbors in need and to those that didn’t wanted nor accepted any of the TV’s ‘dirty’ aid. If shovels where the aid these people would be the only ones fighting for them. 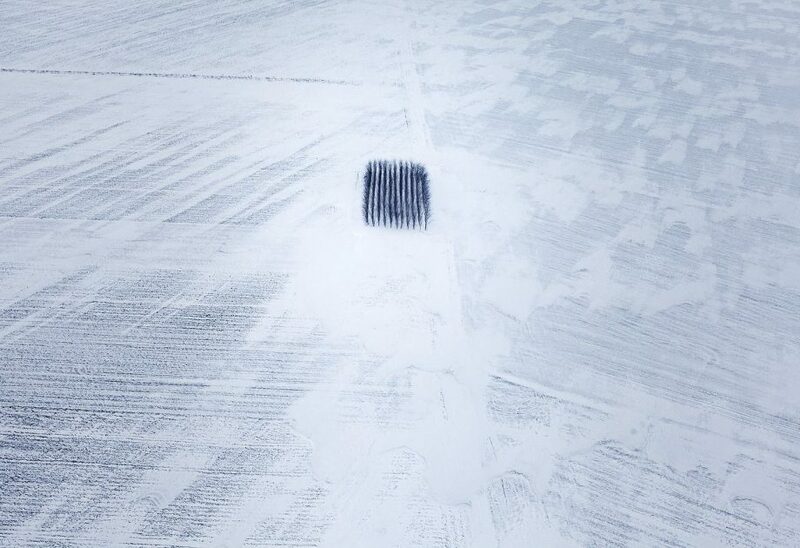 ROMANIA – JANUARY 27: Air view of the snowed in areas in the South Eastern part of Romania, taken from a MAI helicopter delivering humanitarian aid to the isolated people in the city of Lehliu. Snow as deep as 4.5 meters isolated areas of Romania, Moldova and Albania, and helicopters and army trucks were used to deliver food and medicine, and to transport sick people to hospitals. 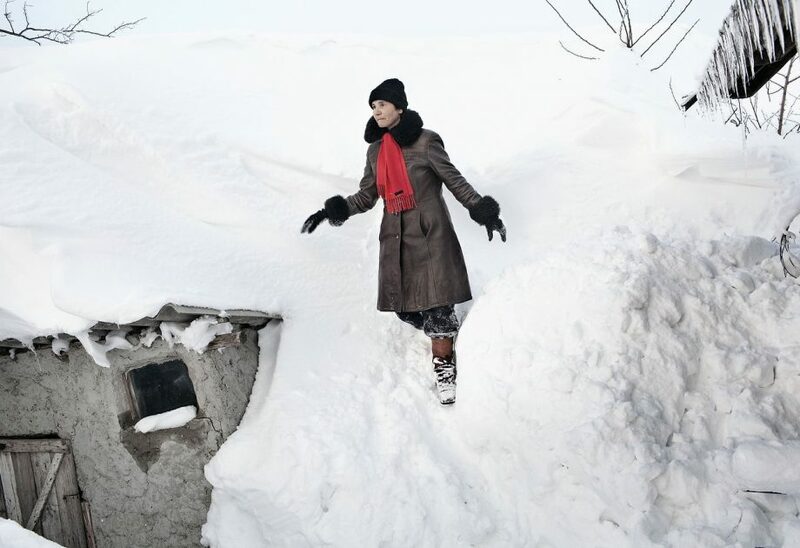 CASOTA, ROMANIA Ð FEBRUARY 14: Siriac Anica coming down from the roof of a snowed in house belonging to Dinu Elena in Casota. Snow as deep as 4.5 meters isolated areas of Romania, Moldova and Albania, and helicopters and army trucks were used to deliver food and medicine, and to transport sick people to hospitals. 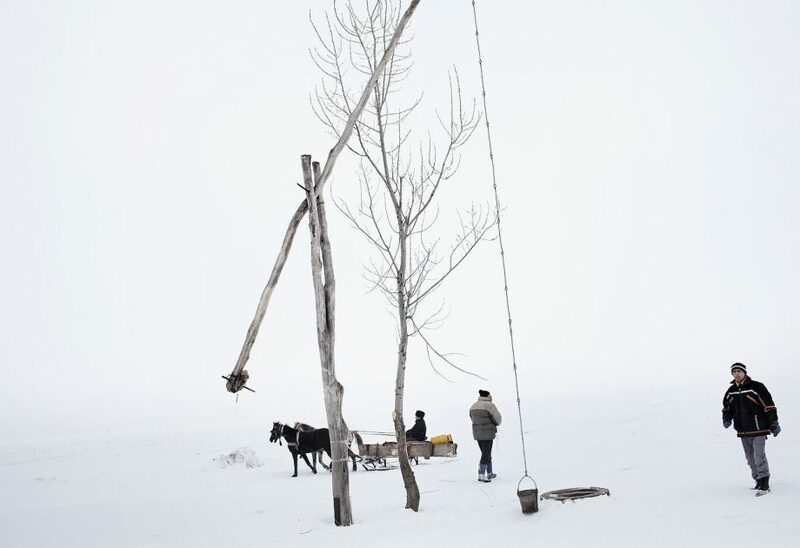 ARCANU, ROMANIA Ð FEBRUARY 17: People from the village of Arcanu using a horse sleigh to carry the empty gas canisters to the nearby village of Scutelnici. The 7 km road linking Arcanu to Scutelnici and the rest of the world was completely blocked for car traffic for 18 days. Snow as deep as 4.5 meters isolated areas of Romania, Moldova and Albania, and helicopters and army trucks were used to deliver food and medicine, and to transport sick people to hospitals.